The terms "sport" and "physical activity" are commonly used interchangeably, but in reality they do not mean the same thing. A sport is characterized for being institutionalized, requiring competition with oneself or with others, and having a perfectly defined set of rules. On the contrary, physical activity is merely being active, such as exercising. 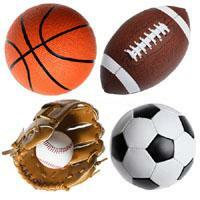 There are many sports and, although not many of us play them professionally, we all have our favorites. Vote in this ranking and pick your favorite sports. 34 Aerobics, rhythmic, body expression, dance, step, pilates, etc.